So, it's 120 kms of experience and entertainment for you. Seriously how can people think that vehicle will change its course, scary isn't it? 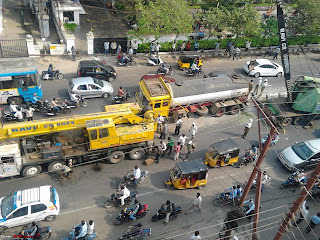 Yeah, daily doze, I also don't understand but it happens on roads. If one can drive on Indian roads, he/she can drive anywhere in the world without any difficulty! I am really scared of driving on main roads. You are right, conditions on Indian roads is actually like this.